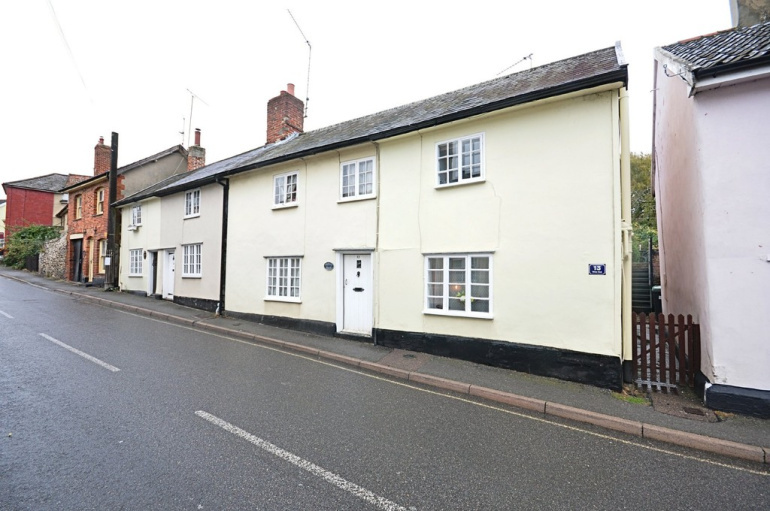 A CHARMING AND CHARACTERFUL COTTAGE ENJOYING A CENTRAL POSITION WITHIN THE BEAUTIFUL AND HISTORIC MARKET TOWN OF EYE. NO ONWARD CHAIN. Located within the heart of this tranquil market town, the property enjoys a most pleasing position predominately surrounded by similar and attractive properties along Lowgate Street. 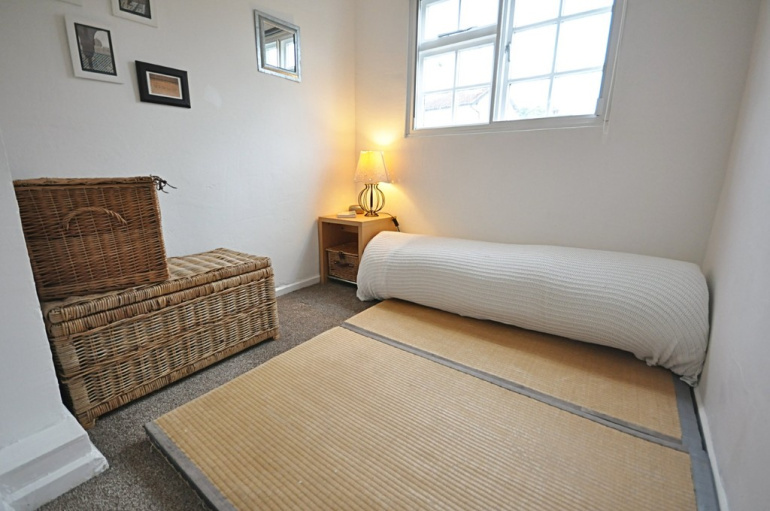 As such the property is just a short stroll away from the many amenities and facilities the town has to offer. The historic and thriving market town of Eye is situated on the north Suffolk borders and within the beautiful countryside surrounding the Waveney Valley. The town has a diverse range of many day to day amenities and facilities whilst just being 8 miles to the south of Diss providing a further more extensive range of amenities and facilities with the benefit of a mainline railway station with regular/direct services to London, Liverpool Street and Norwich. For the motorist there is easy access to the A140 with Norwich found approximately 27 miles or so to the north and Ipswich respectively 25 miles to the south. 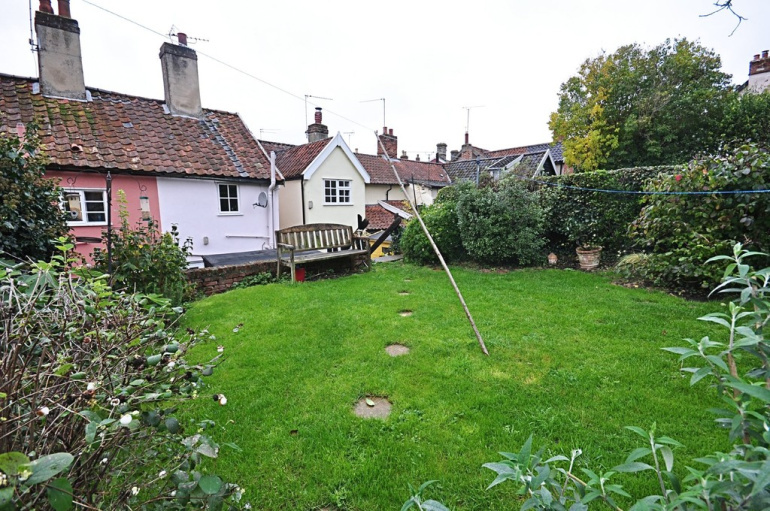 The property comprises of an end of terrace one bedroom grade II listed cottage believed to date back to the early 1600's and of part timber frame construction under a pitched clay tiled roof with colour wash rendered elevations. 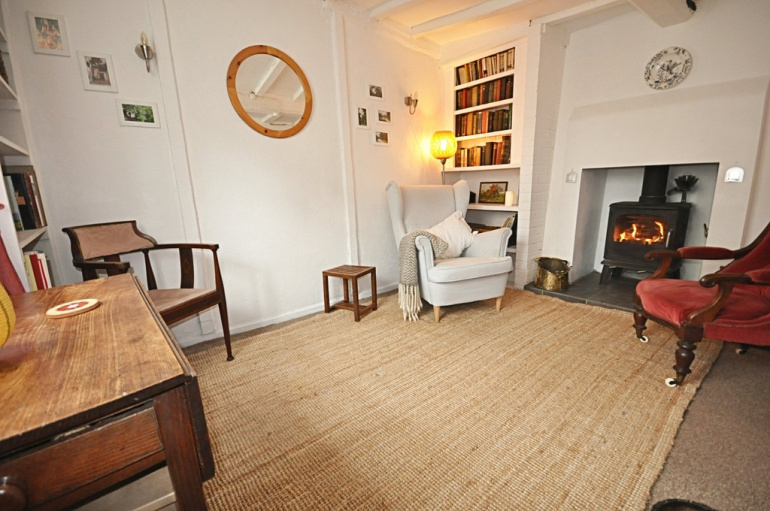 Throughout the property is beautifully presented having been well maintained and enhanced combined with exposed and revealed period features giving plenty of charm and character within. 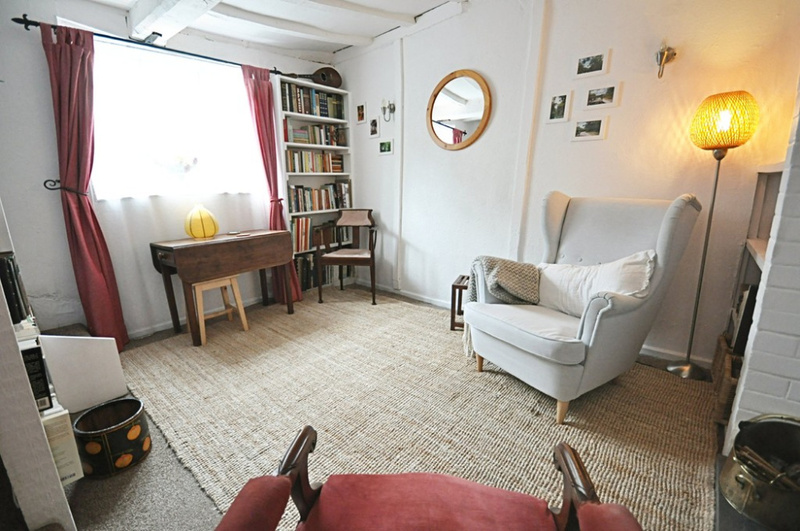 At first floor level a "Suffolk Landing" gives the opportunity for use of an office area, (as currently done) or as a second bedroom as the previous owners did. 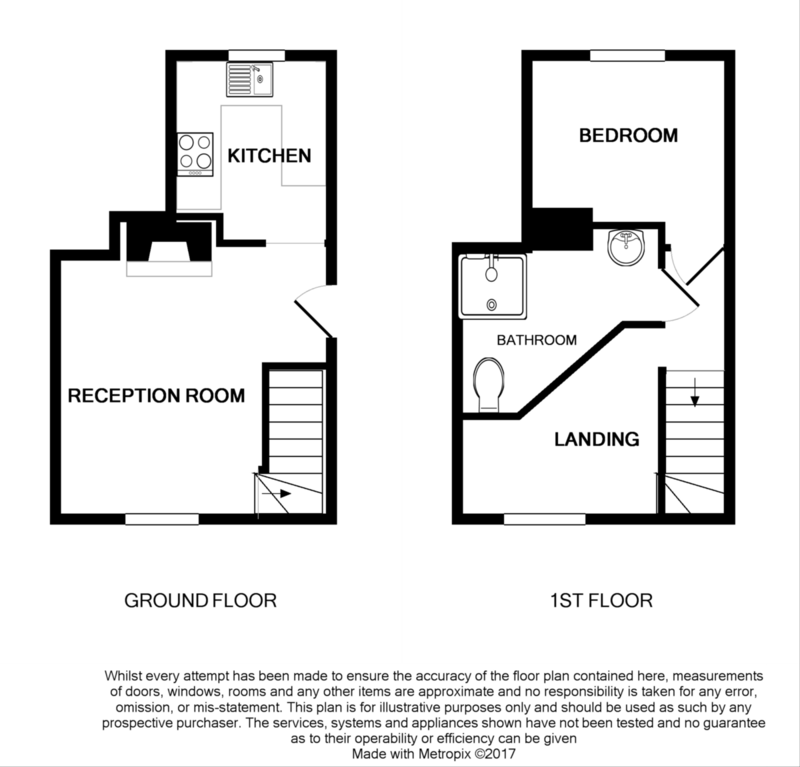 The property is approached off Lowgate Street with a shared side access leading through to a rear courtyard garden, (currently housing a timber shed, which will be included within the sale). The courtyard does have a right of way over it which is solely accessed via the neighbouring property. Beyond steps rise to a most pleasant cottagey garden which is 1/3 owned by the property in question and by the two neighbouring properties. The gardens are predominately laid to lawn with established borders and a good deal of colour during the summer months to enjoy the sun all day round. The Agent further advises there is a flying freehold with the property and for further information please contact the selling agent. 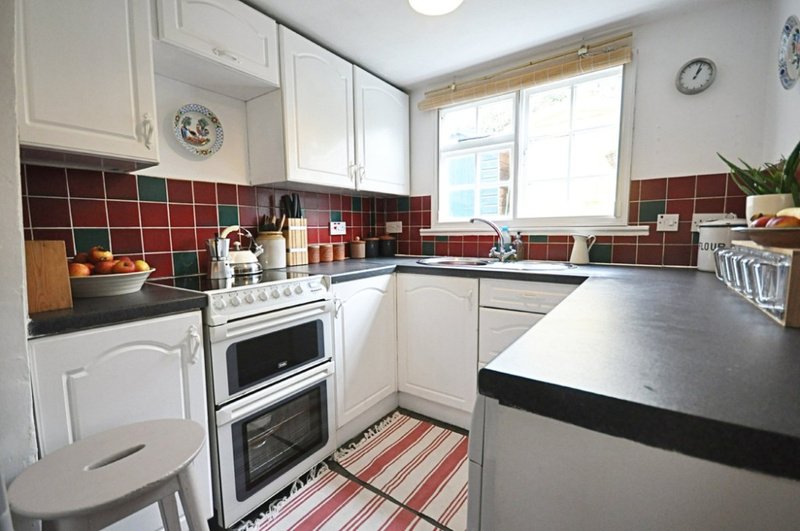 KITCHEN: 8' 10" x 7' 1" (2.70m x 2.16m) Found to the rear of the property and comprising of a good range of wall and floor unit cupboard space with granite effect roll top work surface over. Inset stainless steel sink with drainer and mixer tap above. Tiled splashbacks. Tiled flooring. Space for oven to side. Open archway leading through to the reception room. RECEPTION ROOM: 11' 7" x 12' 0" (3.54m x 3.68m) 11' 7" maximum x 12' 0" maximum (3.54m maximum x 3.68m maximum. With window to the front aspect and a lovely focal point being the cast iron wood burning stove upon a tiled hearth. Exposed timbers and beams. Stable door to the side passage. Stairs rising to first floor level and integrated book shelving beneath the stairs and to the side of the fireplace. SUFFOLK LANDING: 8' 11" maximum x 8' 7" maximum (2.73m maximum x 2.63m) maximum. Heavily beamed with exposed timbers and beams running up from ground floor level. Two Pine brace and batten doors giving access to the bathroom and bedroom. Access to loft space above. 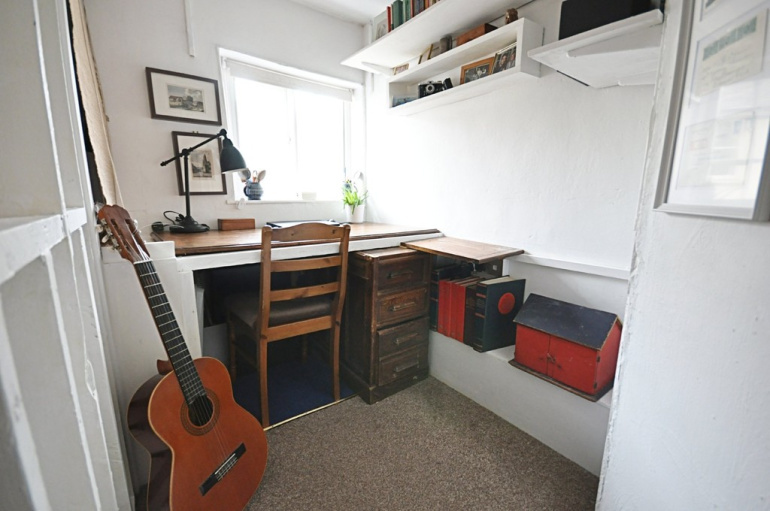 Built-in desk area to the front aspect currently used as an office area however could be used as a bedroom if required. BATHROOM: 5' 4" maximum measurements narrowing, x 5' 0" (1.63m maximum measurements narrowing, x 1.53m maximum measurements and narrowing. 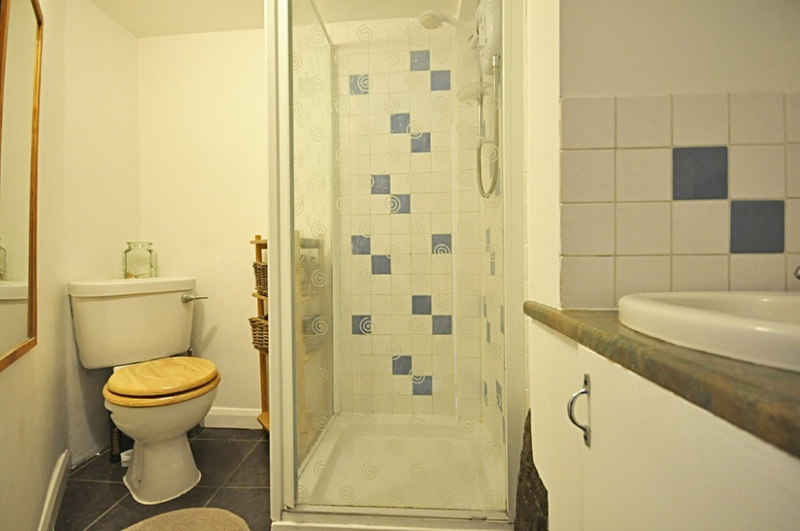 A triangle shaped room comprising of a tiled shower cubicle, low level wc and wash hand basin. Extractor fan fitted. BEDROOM: 8' 6" narrowing to 7' 0" x 6' 11" (2.60m narrowing to x 2.14m x 2.11m) Found to the rear of the property being able to cater for a double bed. Pleasing elevated views to the rear aspect.